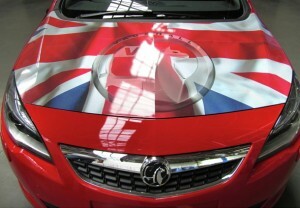 Vauxhall is an English brand that has been around since 1857 back when it was called Alex Wilson and Company and was founded in the capital; London. Years later in 1897 it became known as Vauxhall Iron Works. They didnt start experimenting with cars until 1903. After relative success they were picked up by Generel Motors, a move that was made in 1925. They are, to this day still a subsidiary of General Motors whom also own the German manufacturer, Opel. As a result the vast majority of Vauxhall cars have been pretty much identical those offered by Opel. Fear not, there are still solid ties to the UK for there are 2 different manufacturing plantsin the UK! They have one in Luton and one in Ellesmere Port. Combined they employ around 2,800 and have a combined capacity of around 287,000 units. Unfortunately though, if you do buy a one in the UK, chances are it was built at the Opel factories in Germany, Spain and Poland, take that patriotism. Regardless I still feel a sense of loyalty to the badge, my first car was a second hand Vauxhall Astra, as was the first car of many of my school friends. It’s also on the England drill tops, that has to count for something.